American ichthyologist and peace activist who was foremost in his field in America in his time, and was expert in other fields. He testified at the Scopes Monkey Trial supporting evolution. As quoted in 'David Starr Jordan Dies at Age of 80', New York Times (20 Sep 1931), N6. In 'American University Tendencies' (23 Mar 1903), Address at the Charter Day exercise to University of California, stenographic report in University Chronicle (1903), 6, 5. 19 Jan - short biography, births, deaths and events on date of Jordan's birth. 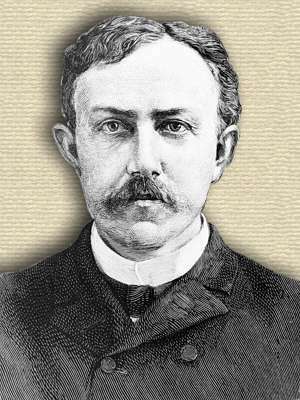 More for David Starr Jordan on Today in Science History page. Shore Fishes of Hawaii, by David Starr Jordan and Barton Warren Evermann. - book suggestion. Booklist for David Starr Jordan.